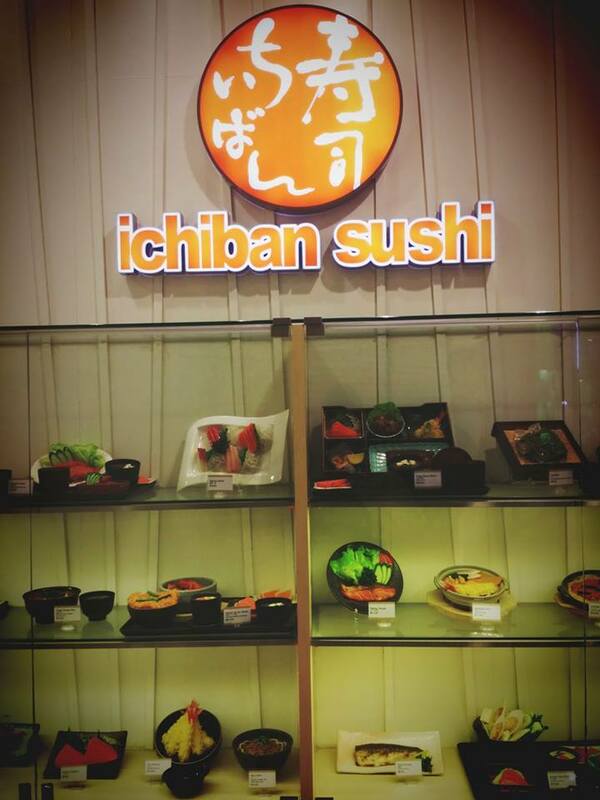 Iciban Sushi, AMK Hub, Singapore. After the 2XU marathon on the Sunday’s morning, I took a short nap in the afternoon after reached home and showered. I was too eager to join my cousin and my aunt for dinner that night, just before I prepared to depart from Singapore to Kuala Lumpur. My cousin told me they planned to have dinner at the AMK Hub instead of having the home cooked dinner. I left the house about 2 hours earlier after the laundry and reached AMK Hub at 4.30PM. We stopped by at the FairPrice before dinner. It took us quite long to get a table although we reached earlier because my aunt was sitting on the wheelchair, so sushi bar is not convenient for her. They use the numbered queuing system and it is more systematic. The waiters and waitresses are polite and approachable. They are mainly Filipino. I was unable to decide whether I want to try their Udon or getting the rice set. After seeing the menu, I decided to try the new set on the menu, Kaisen Chirashi Don. 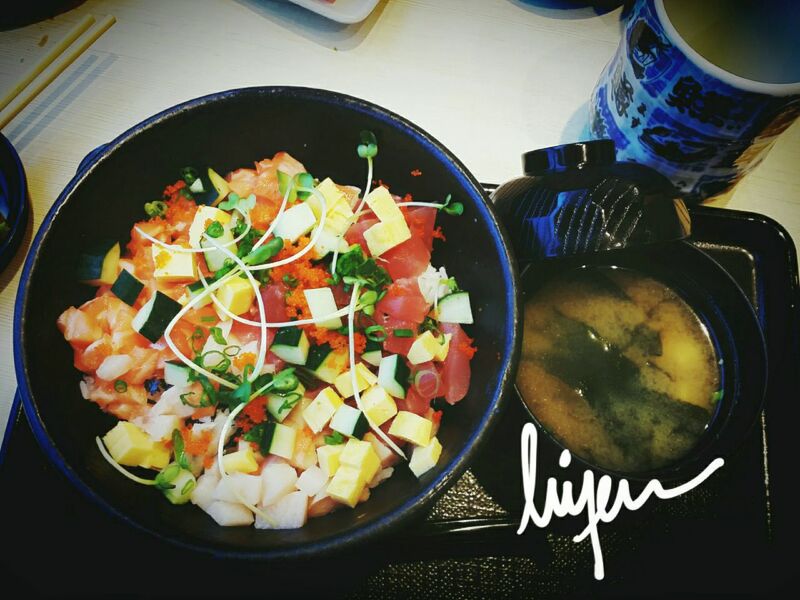 The word “chirashi” means “scattered”, so this is basically a big bowl of rice mixed with salmon, tuna and snowfish with vegetables. The base is quite plain and I added some chili powder onto it. The ingredients are fresh, generous amount and filling. The taste is quite plain and that brings out the taste of freshness. On top of that, the set comes with a bowl of hot miso soup. We completed our meals with additional maki.